Dr. Alexander G. (Sandy) Fraser was the Chief Scientist of AT&T Labs Research. He pioneered virtual circuit switching, a key data communications technology that opened the door to the many advantages of asynchronous transfer mode communications. Dr. Fraser joined AT&T Bell Laboratories in 1969, where he pioneered the Datakit Virtual Circuit Switch and the Spider ring network, both of which are cell-based networks that anticipated the development of ATM networking. 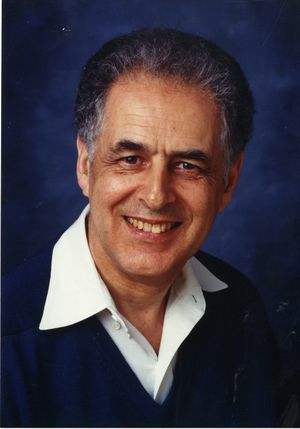 He spearheaded the UNIX Circuit Design Aids System, and played a key role in developing a technique for computer instruction set optimization using a portable compiler, which led to the design of a reduced instruction set machine. He also helped to develop the Universal Receiver Protocol and INCON, a cell-based network designed for use in the home. In 1982, Dr. Fraser became Director of the Computing Science Research Center, and five years later was named Executive Director responsible for the information sciences including mathematics, signal processing, computing, and software production. In 1994, he became Associate Vice President for Information Sciences Research where he focused on research initiatives that included electronic commerce for digital audio, billing, broadband access, and home networks. Before joining Bell Labs, Dr. Fraser was Assistant Director of Research at Cambridge University, where he wrote a file system for the groundbreaking Atlas 2 computer. He also developed file back-up and privacy mechanisms for that system. Earlier he did important work on the Ferranti Orion computer system. Born in England, Dr. Fraser came to the United States in 1969. He received his B.Sc. in Aeronautical Engineering from Bristol University, and a Ph.D. in Computing Science from Cambridge University. An IEEE Fellow and a member of ACM, Dr. Fraser has also been a Fellow and council member of the British Computer Society. He holds 15 patents, has contributed to 30 publications, and has been named an AT&T Fellow. His many awards include the Koji Kobayashi Computers and Communications Award and the Sigcomm Award for outstanding technical achievements in the fields of data and computer communications. He has served on advisory boards for Columbia University, Rutgers University, and the University of Texas.